Ms. Deadwyler has devoted her legal career to ensuring her clients have access to justice. She is a zealous advocate whose chief goal is to meet her clients' legal needs without excessive legal fees. 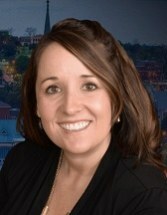 Ms. Deadwyler is a Mercer Law graduate and Macon resident. She strongly believes in her community and the clients she serves.